German Karneval Mardi Gras - Fasching | Traditions | Recipes | Helau! 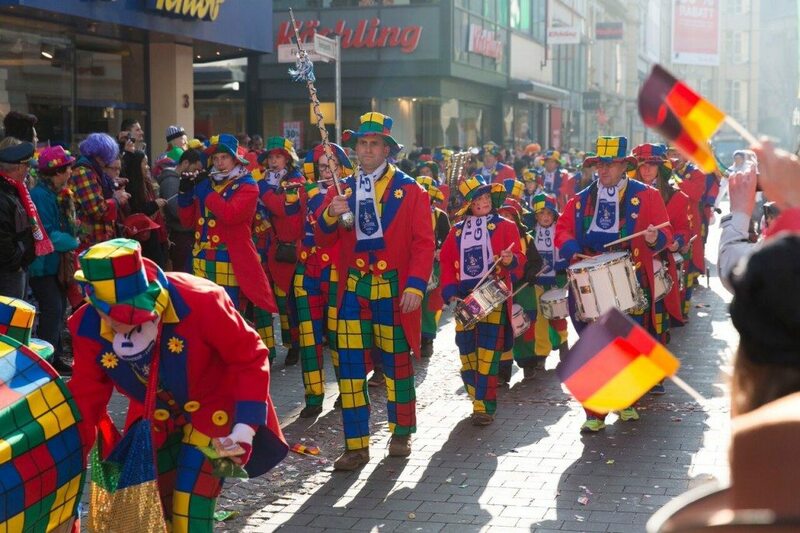 German Karneval Mardi Gras. The food, the fun, the Fasching! Helau and Alaaf! German Karneval Mardi Gras or Carnival (Karneval) goes by a lot of different names: Fasching, Fastnacht, and Fassenacht. But it all means one thing… fun! Germans consider this time “the fifth season” of the year, and it starts on November 11, or specifically, on 11.11 at 11:11 am. The festivity will reach its peak the following year with a six-day celebration that ends before Ash Wednesday (February 10). That’s right; it’s the last days of eating, drinking, and merriment before the start of Lent. 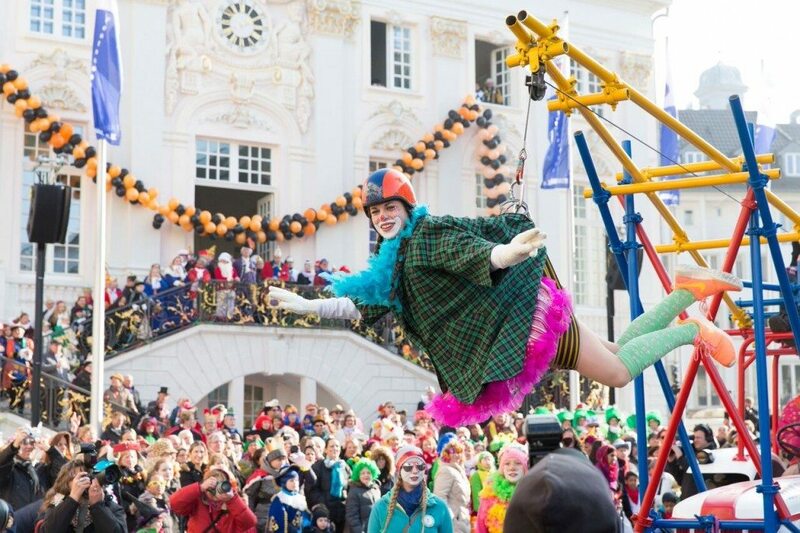 The carnival season has its strongholds in Germany’s Rhineland, Rhinish Hesse, North Rhine-Westphalia, Franconia, Lusatia and Baden-Württemberg, but is celebrated in other regions, as well. 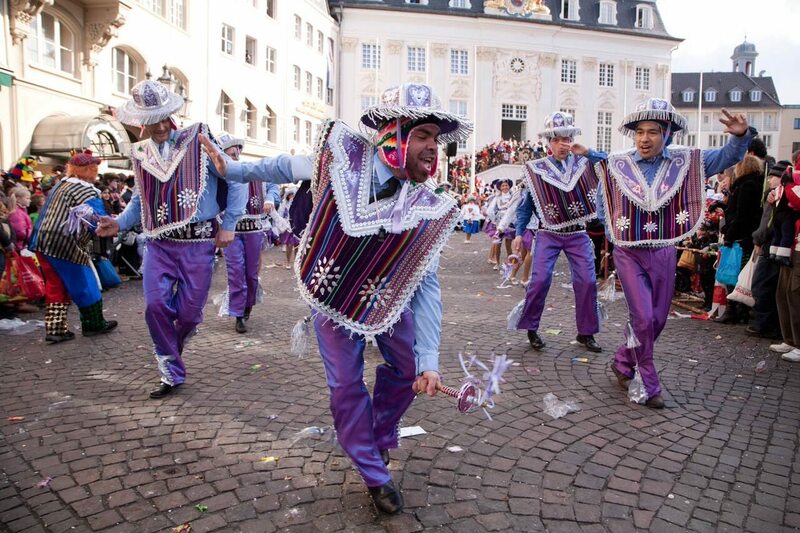 During the event, a prince or a royal couple (Prinzenpaar) governs Karneval with the support of the Elferrat – an eleven-member council of the kingdom of fools and includes their royal retinue. The Fasching ritual starts on Fat Thursday (fetter or schmotziger Donnerstag). This is not to be confused with Fat Tuesday in the states. The Fat Thursday is an unofficial holiday that celebrates the Weiberfastnacht—the celebration of women. The fun starts at 11:11 am, when the ladies take over town hall and the mayor symbolically hands over the key to the city. From here on out, the women rule. So men, be careful out there. A lovely lady has the right to cut off your tie. In return, you may get a kiss—or two, if you’re lucky. The party continues on Sooty Friday (Ruβiger Freitag). 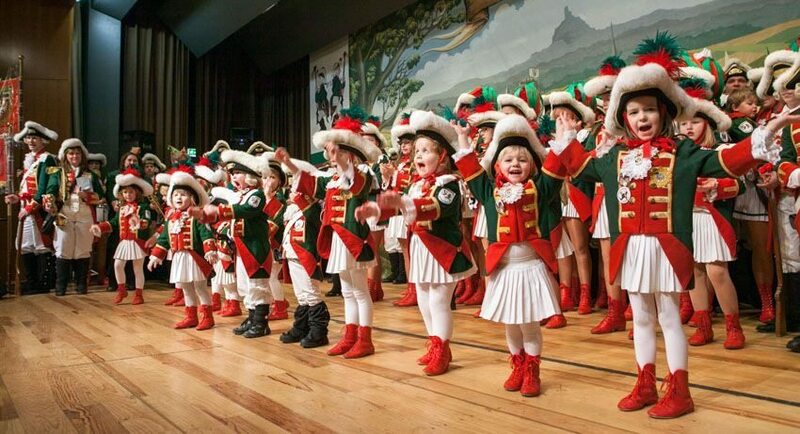 In the evening, the main TV stations broadcast the carnival proceedings under the direction of the Elferrat. This four-hour show is filled with dances, sketches, and speeches from a soap box. In front of this platform, you’ll find usually the traditional Till Eulenspiegel—a character that’s your typical joker. 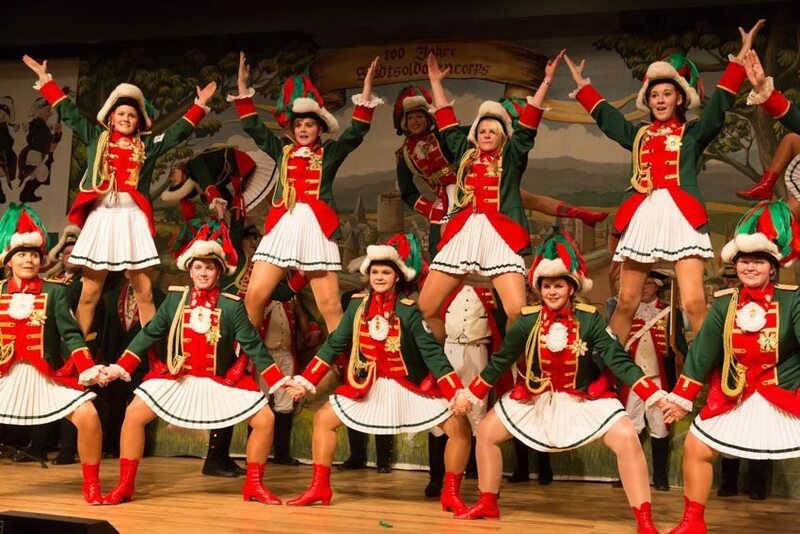 Throughout the evening, the performances are very professional and include dancers (Tanzmariechen) who, at a very young age, already mastered the sophisticated dance moves and impressive leg kicks. Schmaltzy Saturday (Schmalziger Samstag or Nelken Samstag) is the quiet before the storm. 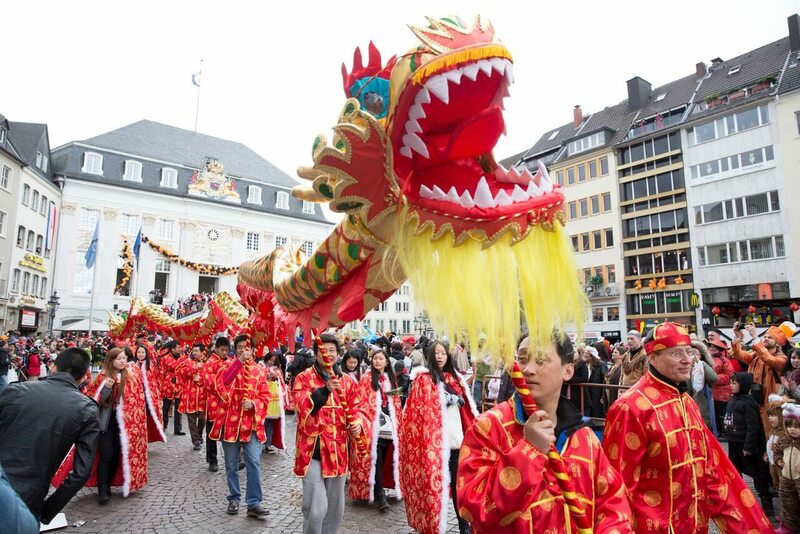 It starts with little parades throughout smaller cities on Sunday (Kappes or Tulpen Sonntag) —leading to larger parades on Rosenmontag in much bigger cities like Mainz, Duesseldorf, and Cologne. 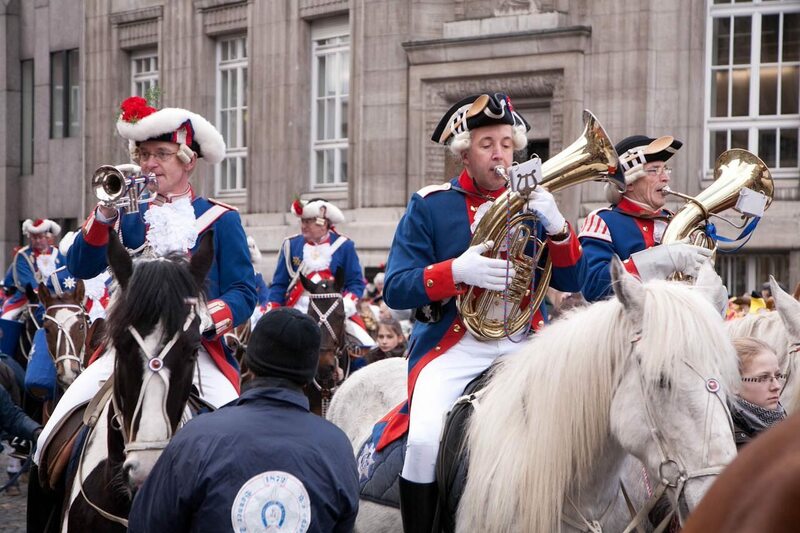 On Shrove Monday (Rosenmontag), TV stations broadcast the parades that are full of revelry, marching, satirical floats, and all-around amusement. Spectators leave extra early to secure places in the front rows to catch all the action. In the crowd, spectators are prepared with bags to collect goodies tossed to them by the parade participants. 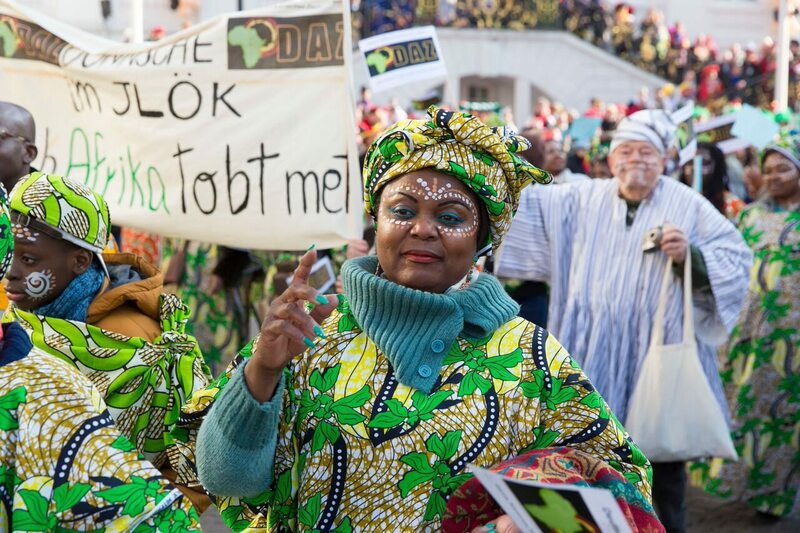 When the head of the parade arrives, everybody knows to throw their arms up to greet the groups with a loud and clear “HELAU!” or “ALAAF!” These enthusiastic greetings differ depending on the region. The parades are very diverse with a variety of cultural backgrounds represented. It is truly a unified festival for all to enjoy. The height of Mardi Gras is on Shrove Tuesday (fetter Dienstag or Veilchendienstag—Fat Tuesday in America). Traditionally, the day ends with masquerade ball (Lumpenball). At midnight, the people attending the dance remove their masks and reveal their true identities. In some regions, they even burn a straw doll which, conveniently, removes any sins committed during the carnival season. All rituals and festivities are accompanied by traditional music that is well-known by every generation. Click on the link below to learn more and have a listen. The ultimate playlist for Mardis Gras. 44 great carnival songs! During carnival, Germans typically enjoy two kinds of food: spicy or sweet. Click on the links below to discover my traditional Mardi Gras recipes. Special thank you to photographer Mattias Kehrein for sharing with me his wonderful Mardi Gras celebration photos. All rights reserved. https://www.theomaway.com/wp-content/uploads/2013/04/unspecified.jpg 525 1280 Oma https://www.theomaway.com/wp-content/uploads/2017/02/Oma-Logo-Authentic-German-Recipes.png Oma2015-01-08 01:44:032019-03-12 10:04:03German Karneval Mardi Gras. The food, the fun, the Fasching! Helau and Alaaf!